Part of being an art student is that you inevitably see art everywhere, whether it’s meant to be noticed as art or not. This goes for anything—drawings, graffiti, cars, apps—and most recently for me, Twitter profile avatars. As I was scrolling through my feed the other day, I saw a number of avatars go by, and my resulting thought process surprised even me—I thought wouldn’t it be cool to analyze those the way I used to analyze art pieces for my art history classes (well, cool is relative I suppose, but I’m an art nerd, so there). So that’s what today’s post is about: no talk of music, apps, or any major tech trends. 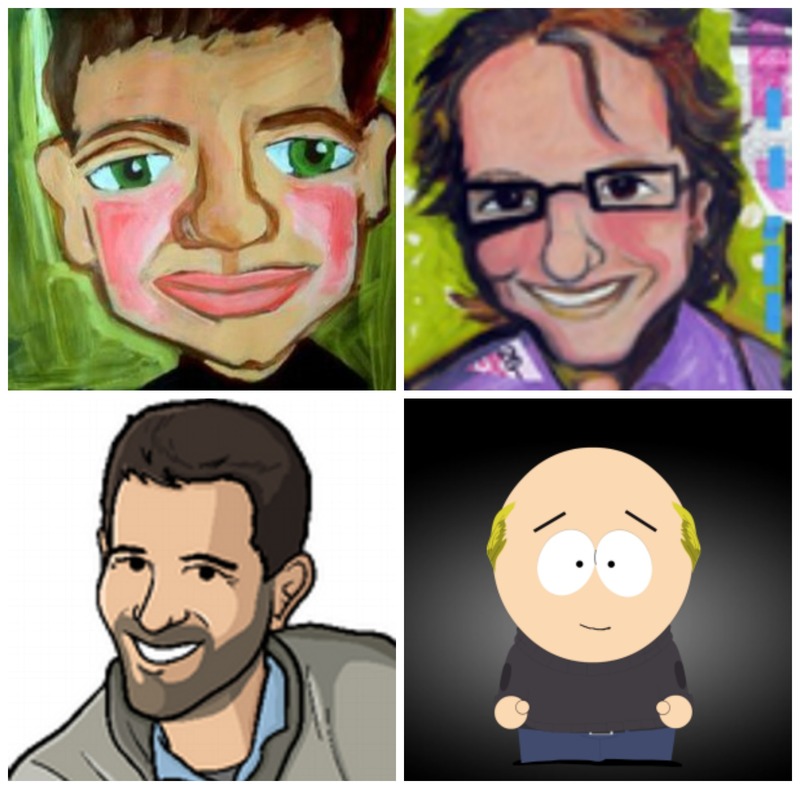 Just an artistic analysis of the profile avatars of four tech investors. I wasn’t sure exactly how to order these, but I decided it would interesting to go according to an art history timeline, rather than simply by alphabetical order. Let the analyzing begin. 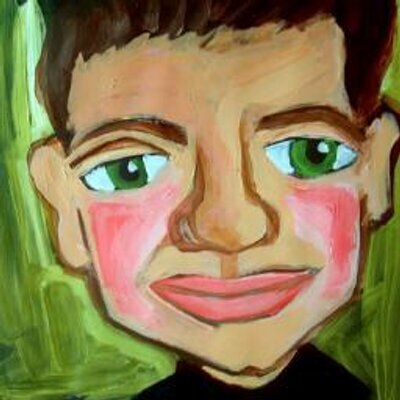 Fred Wilson‘s Twitter avatar is one of my favorites from an artistic perspective because of its striking power. I look at Wilson’s picture, which sets a large facial portrait against a lime-green background, and think immediately of the work of modern Austrian painter Egon Schiele (something which I’ve tweeted about numerous times). For those unfamiliar with Schiele’s work, he redefined the concept of portraiture in the early 20th century by daring to accentuate bodily features way outside their normal proportions. 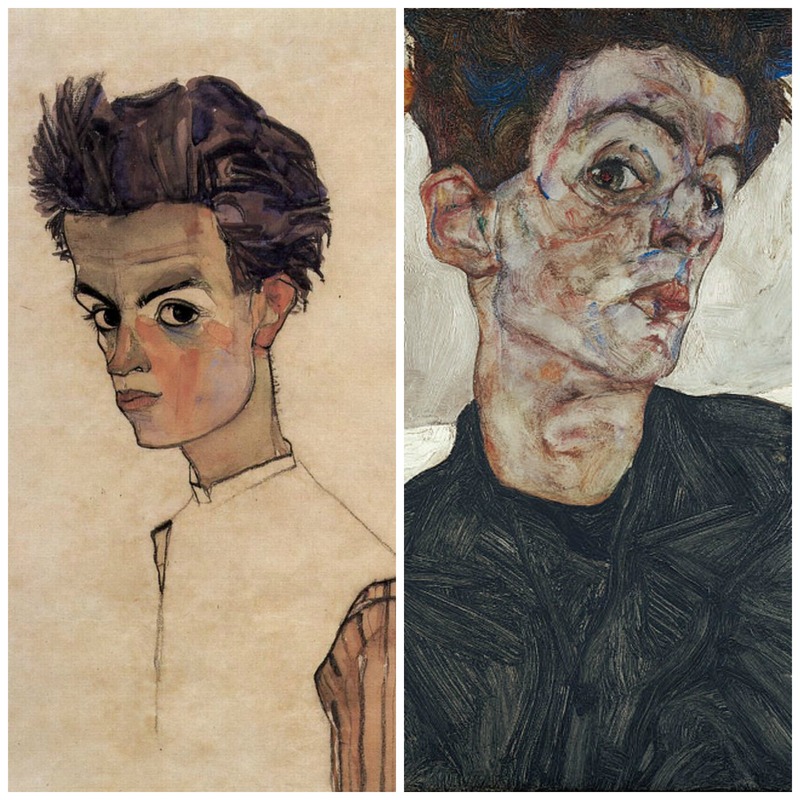 Some common aspects of Schiele’s work are overly-large eyes, and a strong, set jawline, usually defined by a sharp contour, which can clearly be seen in his pieces “Self Portrait” (1910) and “Self Portrait with Physalis” (1912). Looking at Wilson’s picture, the enlarged eyes and clearly defined jawline fit the mold of Expressionism which Schiele helped to pioneer. The eyes are deep-set—almost sunken—but with a gleam that seems to burst from the canvas, made even brighter by the bold green that encapsulates the pupils. The cut jawline is mirrored at the top of the piece by raw, almost rugged strokes of brown making up Wilson’s hair. Yet while the zig-zag strokes chisel the top of the portrait in an almost sculpted way, the slight waviness of the hair on either side of Wilson’s heads help to capture a curved smoothness which bleeds out into the dynamism of the green background. The life of the piece, though, is centered in the eyes, and the cheeks. The eyes swirl knowingly—disjointed only by the large space between them. The cheeks meanwhile, glow warmly with the only hot colors on the canvas: a roughly hewn pink which darkens towards the face’s edges. Even the the portions of the piece where the paint seems too thin are almost indicative of Schiele’s practice of leaving paintings unfinished. Collectively, Wilson’s avatar contains deep traces of Expressionism roots, though nodding to a lighter palette than was typically used in Europe at the time. It’s also worth noting, however, that Schiele is not the only art master represented. Henri Matisse seems to make an appearance as well, mostly in the nose-area. 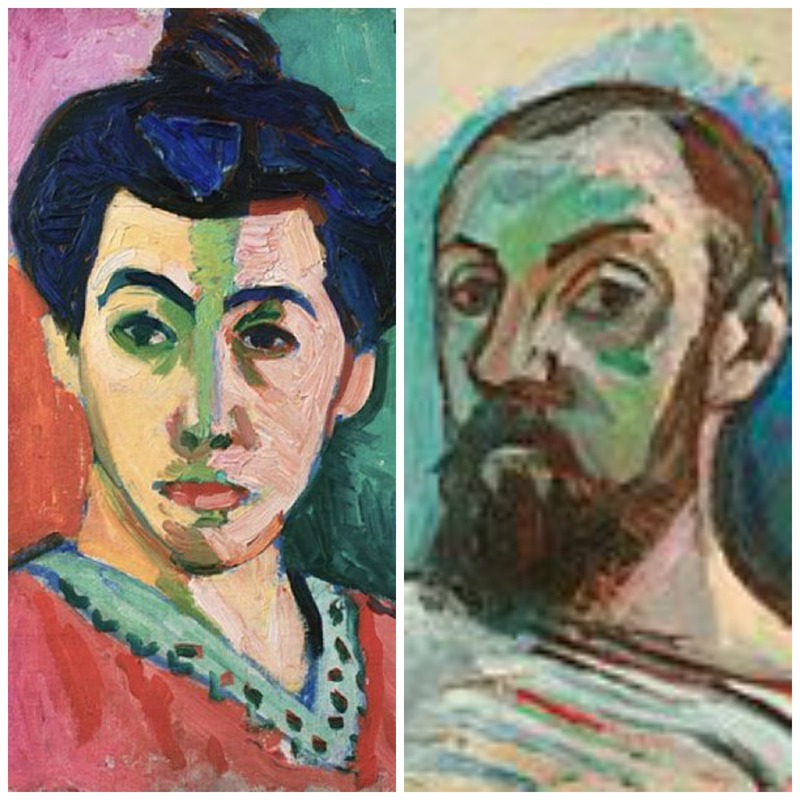 While the nose seems almost too large for the face surrounding it, it nonetheless conjures up images of Matisse’s “Portrait of Madame Matisse (The green line)” (1905), or even his “Self-Portrait in a Striped T-shirt” (1906). Intentional or not, I nonetheless look at Wilson’s picture and see Schiele’s Expressionism and Matisse’s Fauvism and Modernism. 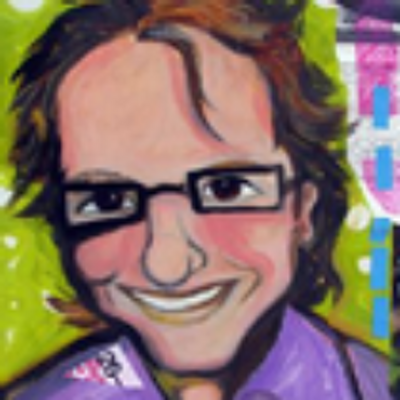 Brad Feld‘s picture is similar to Wilson’s in that it’s a painted portrait. 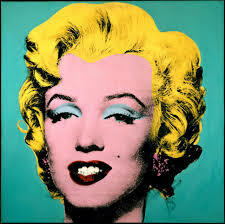 That, however, is where the artistic similarities end. Whereas Wilson’s piece drips of early 20th century Expressionism and Fauvism, Feld’s portrait exhibits a more mid-century style. The thinner mouth and quirky glasses add a Pop Art flavor to the portrait, a fact that’s exacerbated by the bright greens and purples that play through both the back and foreground. While still set amid deeply defined contours, Feld’s jawline is nonetheless more curved and flowing than Wilson’s, and with the light stream of pink that follows the chin-line, Feld’s smile is captured perfectly. The curvature of the lower half of the portrait plays on the wavy strands of hair which sit at the top, floating in a controlled messiness which adds a sense of jubilance to the work. The most striking feature, though, is Feld’s eyeline. Encased in straight-edged square glasses, the eyeline cleanly divides the portrait into two halves, thereby introducing a sense of order into an otherwise happy-go-lucky piece. The Andy Warhol-esque psychedelic color-scheme in the background is indicative of mid-’60s Pop, as is Feld’s mauve shirt collar. Seemingly taking direction from color-schemes like that in Warhol’s “Marilyn Monroe” (1962), Feld’s avatar bleeds with a real ’60s flavor. Of particular note, though, is Feld’s smile, which reminds me of pieces by a famous Pop artist, though not one the mainstream is too familiar with. 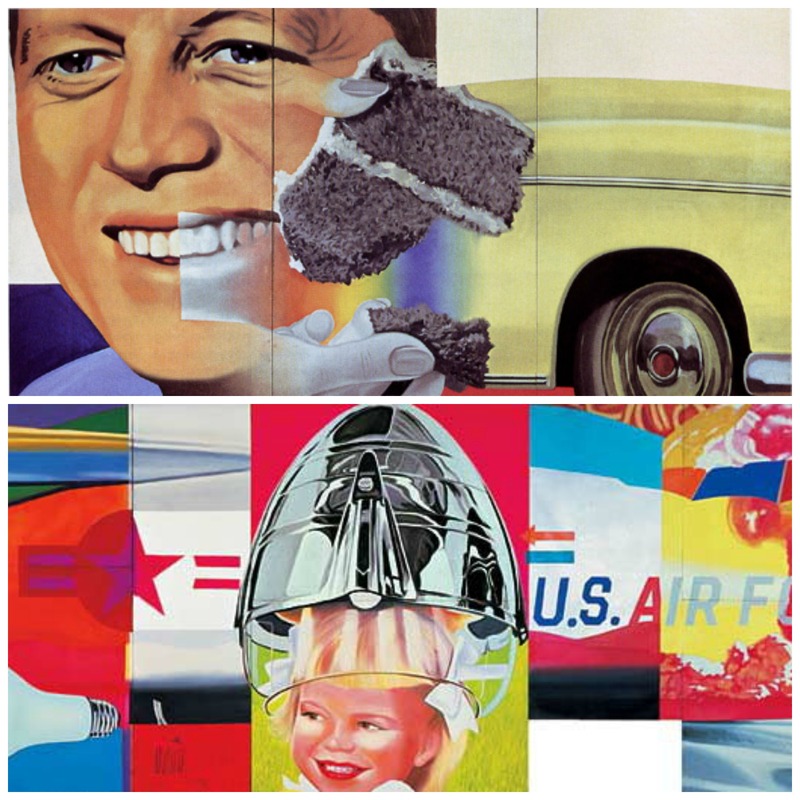 James Rosenquist emerged separately from Warhol and Roy Lichtenstein, but is notable for his use of “the grin,” which can be clearly seen in the baby portion of “F-111” (1964-65) and in President Kennedy’s smile in “President Elect” (1960-61). The grin which plays through Rosenquist’s pieces finds a home in Feld’s piece as well, framing the portrait in visions of Pop from all styles of the decade. Hunter Walk‘s Twitter avatar isn’t hard to place; one look at it and the first thing any art student or aficionado would think is Roy Lichtenstein. The cartoonish quality of Walk’s picture is not only evident, but is the main focus of the piece itself. Whereas the previous pictures exhibited more subtle elements of the art movements which seem to be at play in them, here there is no question. The animated nature of the piece has a disarming effect on the viewer, making Walk’s smile seem all the more friendly. 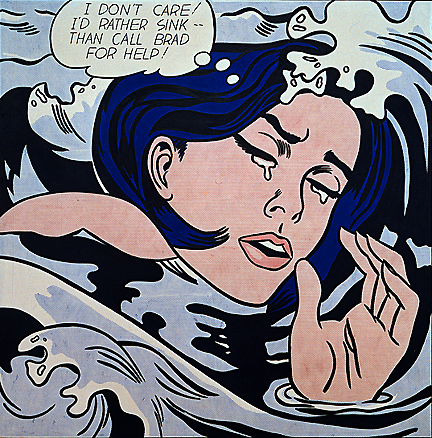 Much like Lichtenstein’s “Drowning Girl” (1963), Hunter Walk is portrayed in a series of curves and flowing lines. Though obviously different subject matter than the aforementioned painting, there is nonetheless a similar ebb and flow that connects the two. Walk’s hairline is jagged only in certain spots, leaving the rest to create a circular movement around his head. The dynamism that this movement contributes to the piece cannot be understated because it is precisely mirrored by his shoulders and neck tilt. Rather than appearing stilted and set, Walk seems to lean into the movement, adding to its run through the picture. Even the shadowing of his beard and smile accentuate the flow of the centripetal movement. The darker shade of gray used for the beard moves along the face smoothly in some areas, and yet is cut sharply in others, much like the movement of waves splashing up against a cliff. The smile, meanwhile, is simple, but creates an eddie around which the flowing contours of the beard and facial lines must move. Perhaps most interesting of all, though, is the way in which Walk’s beard in the piece seems to harken back to Lichtenstein’s common use of pointillism. While clearly one solid color throughout, Walk’s beard is nonetheless styled and colored in such as way as to appear to be more individualized than it really is. 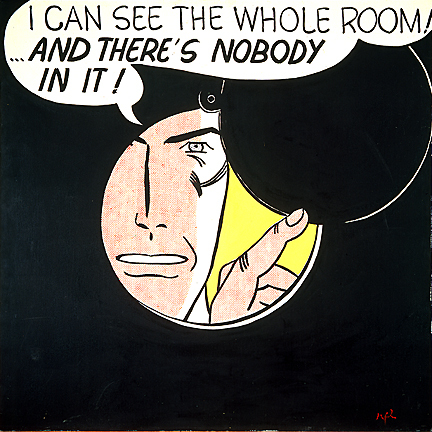 When compared to Lichtenstein’s oil piece “I Can see the Whole Room…and There’s Nobody in It!” (1963), Walk’s avatar seems to take on a different sense of shadow. As the man in Lichtenstein’s painting is lightly shadowed along his face to create a deeper perspective, so too does Walk’s beard in his avatar create for him. 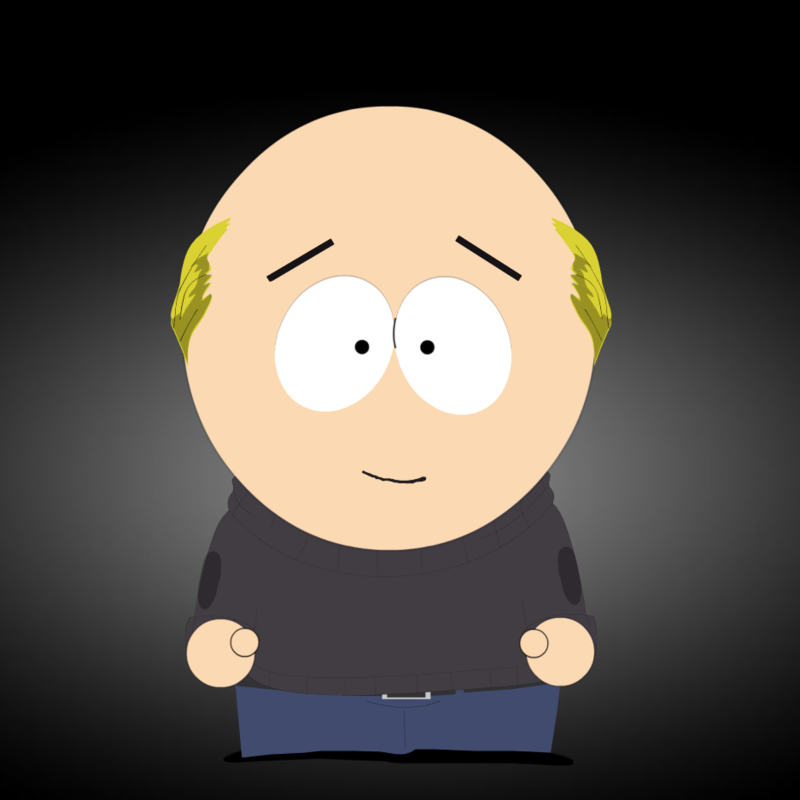 Perhaps the most post-modern piece of the four is Marc Andreessen‘s avatar, done in a way which most would describe as “South Park-ish” owing to its cut-and-paste style. While this is actually a good description based on South Park popularizing the cut-and-paste style in the last couple decades, it begs the question of what does that mean artistically? Is it just a cartoon? 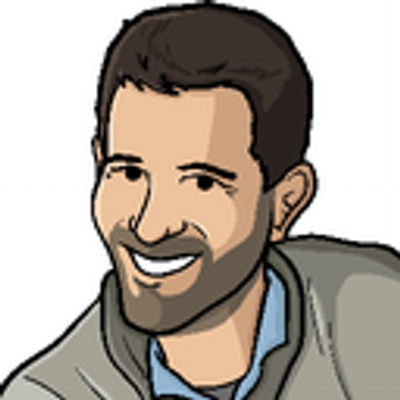 If so, why doesn’t it look like Hunter Walk’s Twitter avatar, which also exhibits a clear, cartoonish quality? Andreessen’s avatar is a mix of post-modern, cut-and-paste qualities, but it also employs a sense of Pop which is prevalent in the other avatars. The sharp, clean lines cast the picture in brisk light, asserting that it’s so simple, there must not be anything under the surface. But there is. The cartoonish Pop quality hides the other influences which dance through the piece. The basic oval-shaped hands, straight-line eyebrows and simple circular head harken back to the bare-bones approach towards geometry of Cubism, while the flat, cut-and-paste quality is indicative of the Superflat movement. 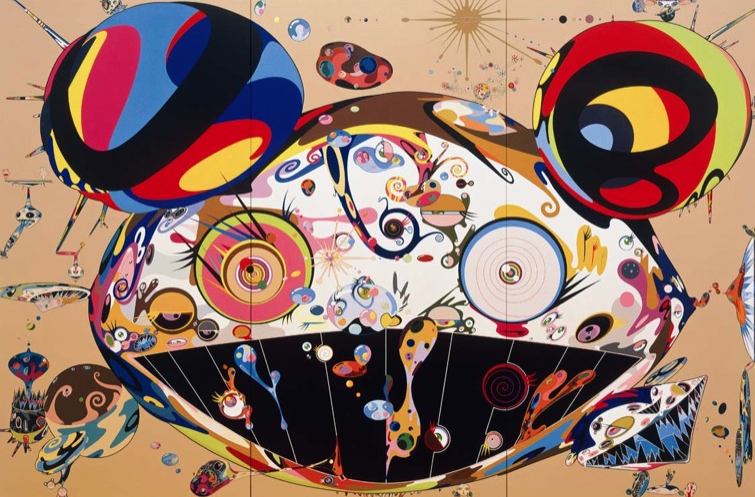 As Cubists like Pablo Picasso and Juan Gris attempted to unravel the notions of geometry in art, so too did post-modern artists like Takashi Murakami desire to understand depth in a different way. 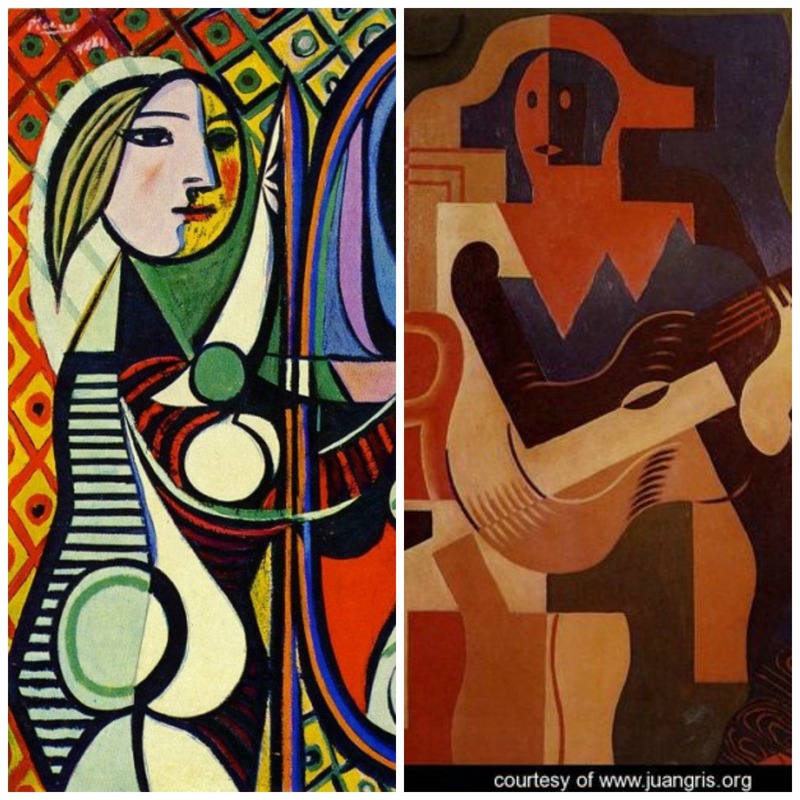 The simple, circular curvature of Andreessen’s head in the avatar seem to mirror the circular head of the girl in Picasso’s “Girl Before a Mirror” (1932), while his egg-shaped eyes mirror those of the man in the Juan Gris painting, “Harlequin with Guitar” (1919). The flat quality of the avatar, however, jumps almost a hundred years forward, to the Superflat movement of the 2000s, pioneered by Murakami. As Murakami explored the flatness that depth could have in pieces like 2001’s “Tan Tan Bo,” so too does Andreessen’s avatar explore concepts of flatness and depth (perhaps without even knowing it). In its exploration of depth and geometry, Andreessen’s avatar is thus more artistic than it initially appears. Though these are just four analyses of four Twitter avatar’s it’s become clear that art and tech are more closely intertwined than perhaps initially thought. This might explain why I see pieces by Basquiat and other artists come up so often in the tech industry. But it may be even simpler than that—it may simply be that art resonates with people in the tech industry precisely because they are also in the business of creating as much as painters and sculptors are. Or maybe they just like how it looks, that’s a valid point too. In the end what matters is what you see when you look at pieces and avatars like this. For me, I see art that is deeper than what’s on the surface. What do you see? This entry was posted in Art, Nature of Art, Painting, Tech and tagged Art, Avatars, Brad Feld, Expressionism, Fauvism, Fred Wilson, Hunter Walk, Investor, Marc Andreessen, Modernism, Painting, Pop, Post-Modern, Superflat, Tech, Twitter, VC by adammarx13. Bookmark the permalink.